The Game of Thrones x adidas Ultra Boost collection is almost here. 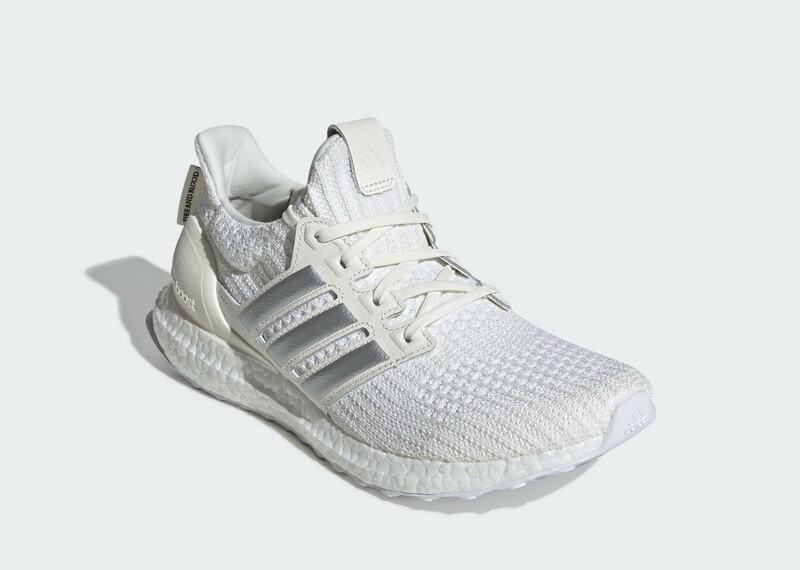 After over a year of waiting, the various colorways have begun to emerge in their official forms online. Today, we have an early look at the Targaryen and Night’s Watch pairs. Winter is almost over in our world, but in the Game of Thrones universe, it is only just beginning. As we edge closer to the closing season of HBO’s hit fantasy drama, fans grow steadily more anxious as they wait for the likely depressing conclusion. However, there is a silver lining. 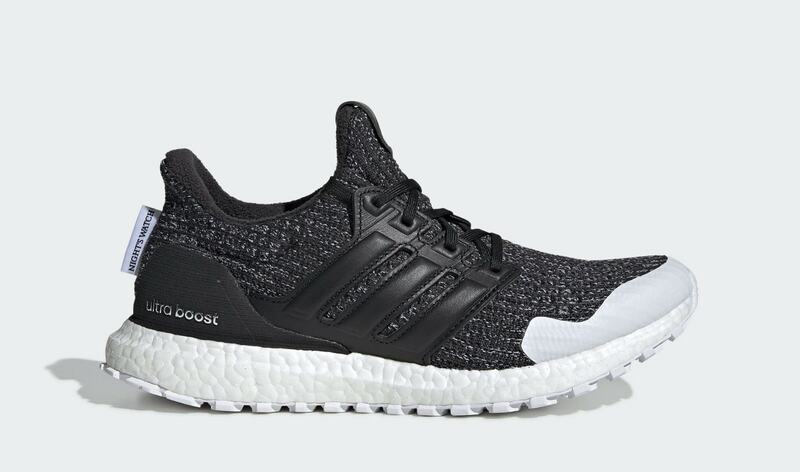 To help push the final season, HBO has teamed up with adidas to release a collection of Ultra Boost colorways based on the different houses and factions of the show. While many have already been revealed, it was not until today that we had a good look at the full collection, thanks to adidas’ official imagery. Today, the Night’s Watch and House Targaryen pairs finally surfaced online. 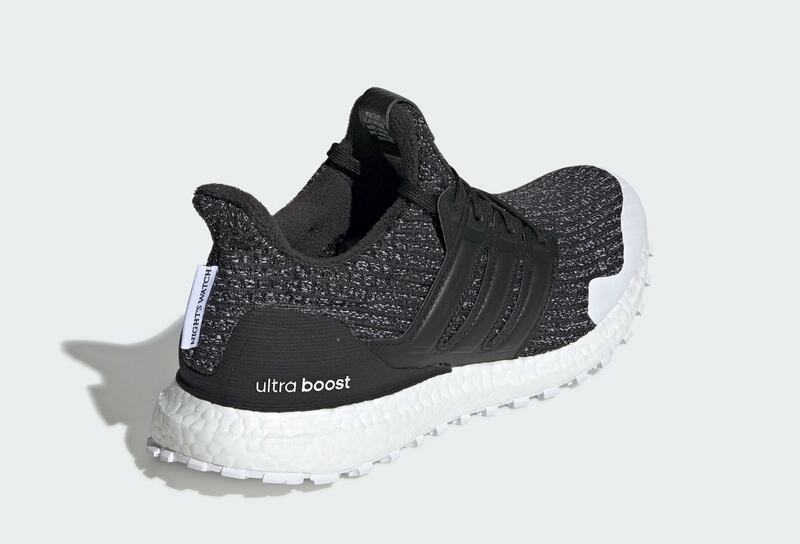 The “Night’s Watch” adidas Ultra Boost begins with a black Primeknit upper, flecked with bits of white thread mixed in. The supportive sidewall cage comes made from leather and dyed entirely in black, matching the signature heel counter. 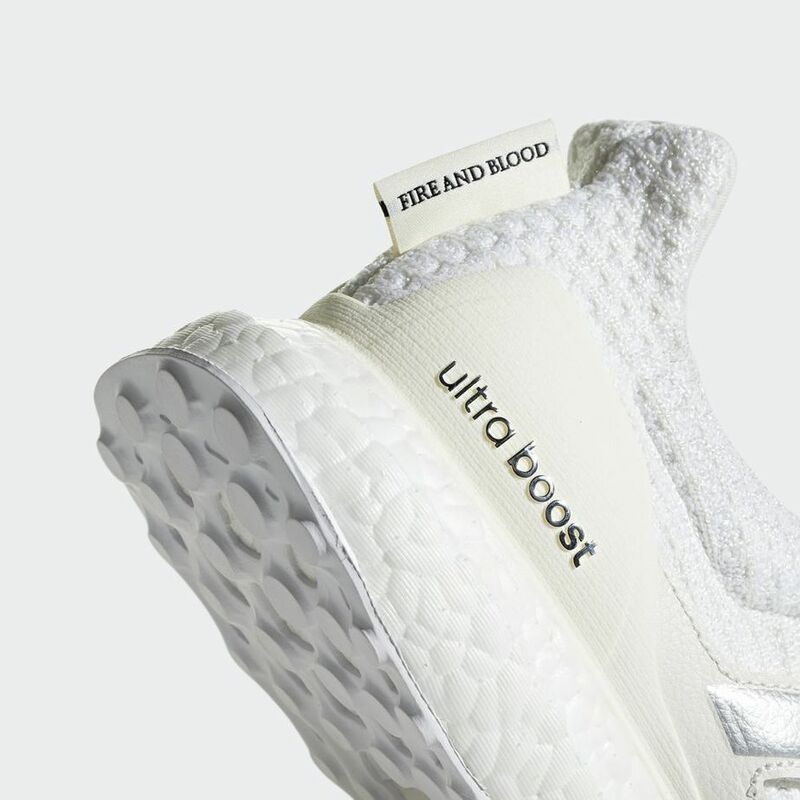 The mudguard around the toe box comes in white, while two tags on the heels identify this pairs by its “Nights Watch” moniker. 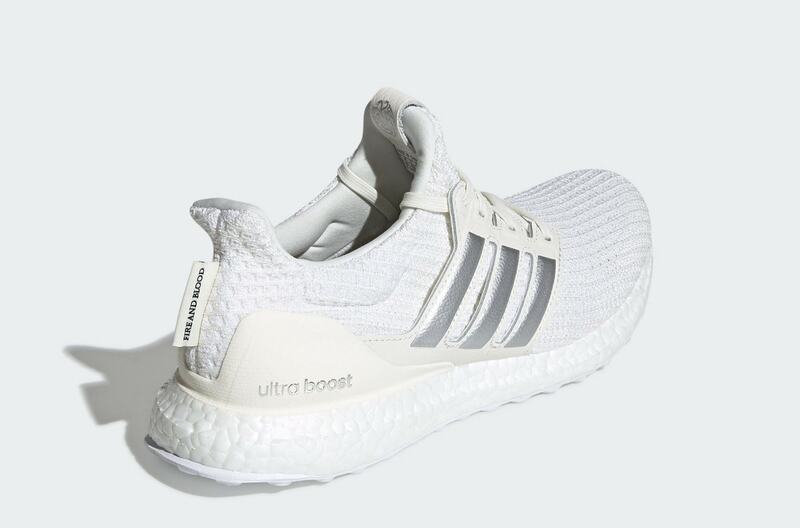 Finally, the look is completed by plain white Boost and a white trail outsole. 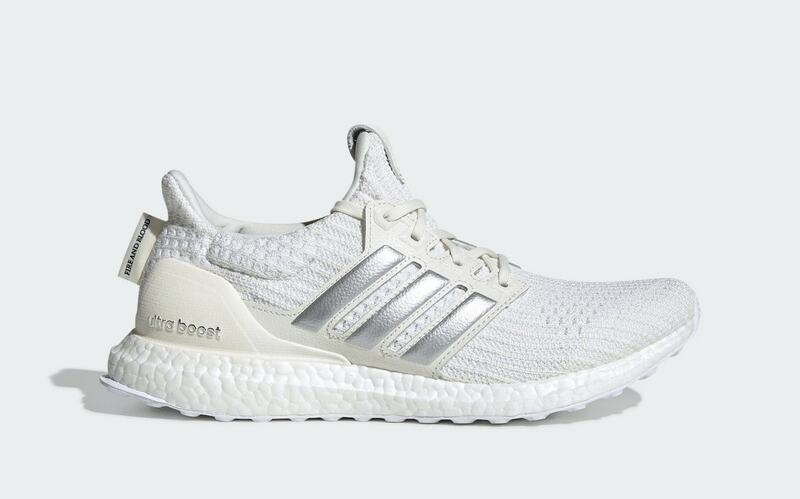 Next up, the House Targaryen color scheme beautifully paints the Ultra Boost with a cream-colored upper as well as reflective silver detailing. The cage appears to be made from leather or another textile as opposed to the standard TPU, matched by leather detailing on the tongue tags. Finally, the special colorway is complete by a “Fire and Blood” tag protruding from the heel. 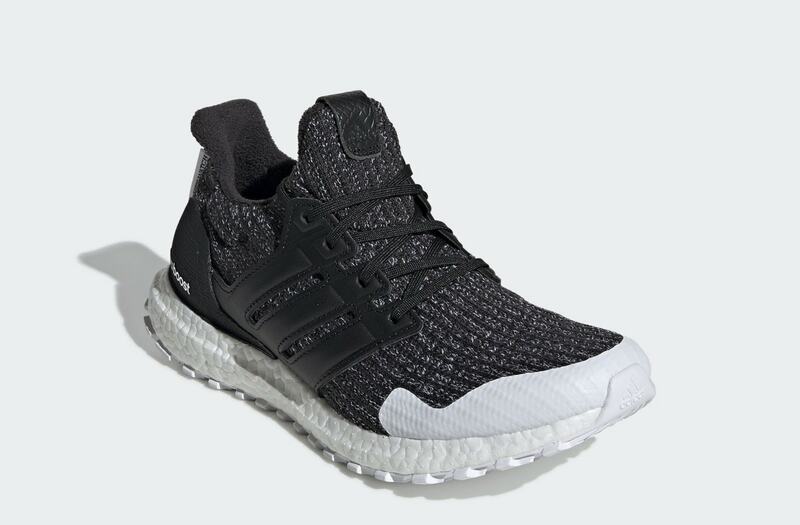 With the appearance of official images on the adidas website, we know that the new Game of Thrones Ultra Boost collection is set to release soon, though no official date is currently available. Pairs are expected to retail for above the usual $180 price, though this remains to be seen. 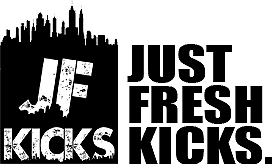 Check out the official images below for a better look, and stay tuned to JustFreshKicks for more information regarding the release.